Cricket Wireless launched the Alcatel ONYX today for $119.99. The phone is available exclusively through the AT&T owned wireless provider. Alcatel is owned by TCL Communication, a subsidiary of TCL Corporation. TCL Corporation is a large manufacturer of a multitude of electronics which includes a popular line of Televisions. The Alcatel ONYX is available now, directly from Cricket Wireless for $119.99. 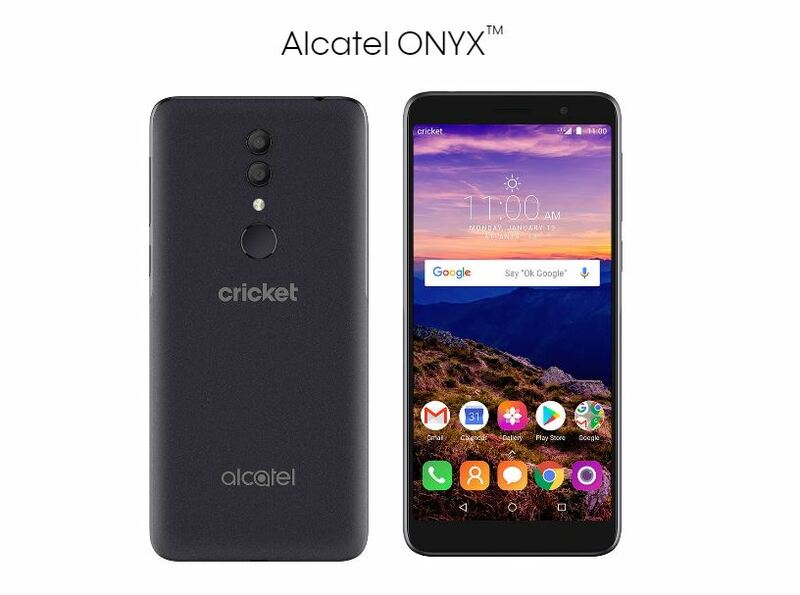 Current Cricket Wireless customers that have updated their phone in the past 90 days will also have to pay a $25 upgrade fee if they'd like to purchase the Alcatel ONYX. If you are interested in this device you can pair it with one of 5 Cricket Wireless plans described below. $60/month, $55 with auto-pay - unlimited LTE data at full LTE data speeds. Data speeds may temporarily slow down during times of heavy network congestion. All plans include unlimited talk and text. The $30 and $40 plans include unlimited data with the specified amount of data at high speed before throttling to 2G speeds. The $30 and $40 plans have maximum download speeds of 8Mbps. There is no speed limit on the $60 plan. The two unlimited plans offer unlimited texting to over 37 countries and have video streams limited to 480p. Full talk, text, and data roaming in Canada and Mexico is included with the two unlimited plans. Unlimited plan subscribers can add mobile hotspot to their plan for $10/month for 10GB. Taxes and fees are included in all prices shown. Keep in mind that if you do buy the Alcatel ONYX for use on Cricket Wireless and think you may want to use it elsewhere, you'll have to keep it active on Cricket Wireless for 6 months before it can be unlocked for use on another network.